Supreme Hotel Melaka is happy to welcome you! Welcome to the historical city of Melaka!! 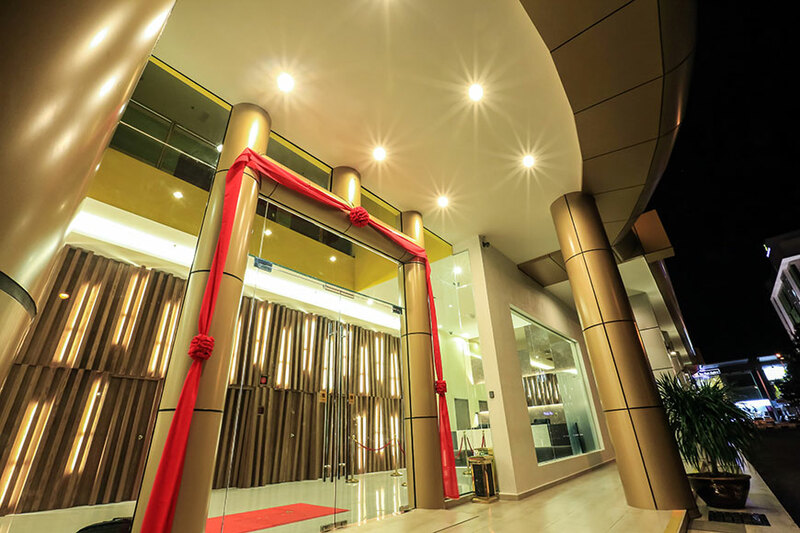 Supreme Hotel Melaka is ideally & strategically located at two main thoughfares of the business centres and entertainment hubs. It is a unit of 4 1/2-storey standalone hotel building comprised of 92 modern-designed guestrooms which offer comfort, convenience and relaxation to all of its valuable guests. There are several types of Rooms available in Supreme Hotel Melaka i.e. Superior Queen Rooms, Deluxe Twin or King Rooms, Executive Suite, Studio Suite & Family Suite. It is approximately 5 minutes drive to reach the Tourist Attractions such as Jonker Walk, St. Paul’s Church and Shopping complexes i.e. Mahkota Parade, Dataran Pahlawan, Aeon Bandaraya shopping mall etc. On the other hand, both of the established Private Healthcare Centres i.e. Mahkota Medical Centre & Putra Medical Centre, are also located nearby Supreme Hotel Melaka. Likewise, Supreme Hotel Melaka can be easily access to souvenir centres and food outlets / restaurants of which serving popular local delights such as Nyonya Laksa, Cendol, Chicken Rice, Satay Celup, Asam Pedas, Ikan Bakar, Indian Banana Leave Rice, Nan, Tandoori Chicken and many other savory dishes & cuisines. Lastly, We look forward to welcome your stay at Supreme Hotel Melaka.